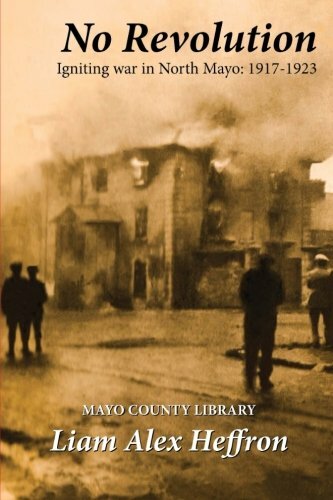 There were certainly revolutionaries fighting and being fought in North Mayo, during 1917-1923. Their political struggle was also driven by a deep hunger for land and social justice - unleashed by the violent collision between Republicans and the British (and later Free State) authorities. This book examines how a rural corner of the west of Ireland reacted, as the social order was severely threatened, during a unique period of modern Irish history - and whether the result was indeed a 'Revolution'. Liam has also contributed articles to History Ireland and the Vineyard Magazine. He is currently working on his next book titled The Saddest Soldier - telling the tragic story of Capt. Michael Joseph Kelly, a War of Independence and Civil War veteran who also enlisted in the British and American armies. It is due out in 2018.